Do you find digital marketing confusing? Does it always seem like there’s something new—like SnapChat or Facebook Live—that you’re expected to master? Does it feel overwhelming, and there’s not enough time in the day to get everything done the social media gurus tell you to do? After 20 years in business, and 500 plus websites and digital marketing campaigns under our belts, these concerns have been raised by a large number of the people who have come into our offices. Unfortunately, there is no one-size-fits-all when it comes to digital marketing. Different businesses and industries need different strategies, tactics, and even strategies to reach different audiences. Even best practices don’t always equal best results. However, in working with all these businesses over the years, I’ve developed a framework that works for almost every small business, and I think it will work for you, too. The name has changed over the years, but while working with my book coach as I wrote The Lead Machine: The Small Business Guide to Digital Marketing, we hit upon a name for the framework that I feel is going to stick. 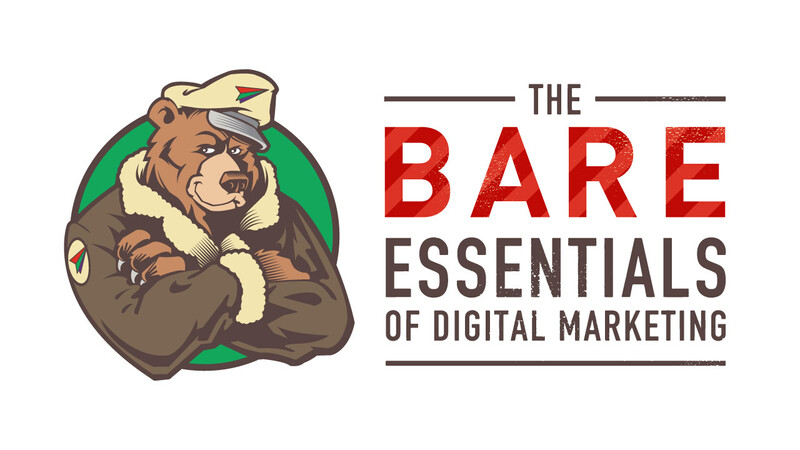 It’s called the BARE Essentials of Digital Marketing, and it’s all about helping you increase your online visibility, drive more qualified traffic to your site, and convert that traffic into leads and sales. Let’s take a closer look at each element, and how you can implement this for your own digital marketing success. It all starts here. Your small business can’t survive unless you have a platform—a website—that you can drive traffic to and that can convert visitors into leads and customers. Build on a mobile-friendly platform. More Internet traffic is delivered on a mobile device than on desktops these days. Google penalizes sites that’s aren’t mobile friendly in mobile search. Visitors are more likely to leave a site that isn’t optimized for mobile viewing when they’re on their tablet or smartphone. There’s no reason for you not to have a mobile friendly site, and these days I recommend Responsive Web Design as the most “future proof” method of building sites that work on all devices. Build on a content management system. You’re going to want to make quick changes to your website, and you’re not going to want to wait on a web developer, nor do you want to pay their prices for simple updates! I’m personally a fan of WordPress; it’s been my experience that it’s the easiest platform for business owners and marketers to use, and it’s in credibly powerful and scalable. Design for results. Design—like beauty—may be in the eye of the beholder, but you can still design your site in a way that makes it easier for people to do business with you. That means keeping the layout and navigation simple and easy to understand. Having fast-loading pages. Choosing one color to be an “action” color, meaning it’s used for all links and buttons, and not used for regular text or headers. And perhaps most importantly, adding a call-to-action on every single page. While there are many ways to bring visitors to your site, I tend to focus on three particular drivers when it comes to digital marketing. How you decide which to focus on, or what the mix should be, will come down to your business, industry, and where your ideal customers likely hang out. Search engine optimization. When someone has a problem, they often turn to Google for the solution. It’s important to be where your ideal customer is when she needs you most. Optimizing your site with valuable content that addresses the question someone just asked at Google. Of course, other variables factor in. It’s important to get quality inbound links, have fast-loading pages, and use a mobile-friendly site. Digital advertising. In this competitive online marketplace, most businesses will need to spend some money on digital ads to break through the competition, the data smog, and the newsfeed algorithms to reach and engage their audience. This includes both paid search, such as Google Adwords, and social ads, like Facebook and Twitter ads. Depending on your business, many of your ideal customers aren’t going to come to your website and just decide that you’ve got the perfect house, perfect workout plan, or perfect retirement strategy just for them. They’re going to check out your competition as well. Email marketing. No, it’s not dead. No, it’s not for old people. It’s the backbone of all of your digital marketing. Your client’s inbox is the most valuable piece of real estate on the internet. When they give you permission to send them more information—advice, tips, or products on sale—you have taken a casual relationship to the next stage. They’ve given you permission to stay in touch. It’s like when the cute person at the bar writes their phone number on your hand. Retargeting. Also called Remarketing. Same thing. I’m sure you’ve experienced this yourself. You go to a website searching for umbrellas. You don’t buy one. Then you go to Facebook and there’s the umbrella. Fox News, there’s the umbrella. CNN, there’s the umbrella. You are being followed around the web with targeted ads. When someone comes to your website but they don’t make a buying decision, such as filling out a contact form, signing up for an email newsletter, or buying now, we can tag them with a cookie, and remind them of your business or offer for a given period of time. Social media. I don’t like to drive people from my website to a social platform where they can be distracted, but if one of the top two options won’t work, at least you can try and get them to follow you on Twitter, like you on Facebook, or become LinkedIn with you. How do you know if any of this is working? Well, obviously if the number of people calling, emailing, and buying is going up, that’s a good sign. But what elements of your online and offline marketing are most effective? Google Analytics. This free tool provides an amazing amount of data on the traffic to your website. How many visitors came, how they found you, and what they did while they were there are just the tip of the iceberg. Every small business should have Google Analytics installed and be checking it regularly. Email reports. Your Email Service Provider (think Constant Contact or MailChimp) can give you detailed reports on the number of people who subscribe to your list, how many people opened your last email, and how many clicked on each link. Since email marketing is the backbone of your digital marketing, this is an essential part to measure. Social analytics. Many platforms, notably Facebook, Twitter, and YouTube, give you great insights into what are your most popular posts, what time of day your audience is most engaged, and whether people are clicking on your links. Putting the BARE Essentials All Together…. 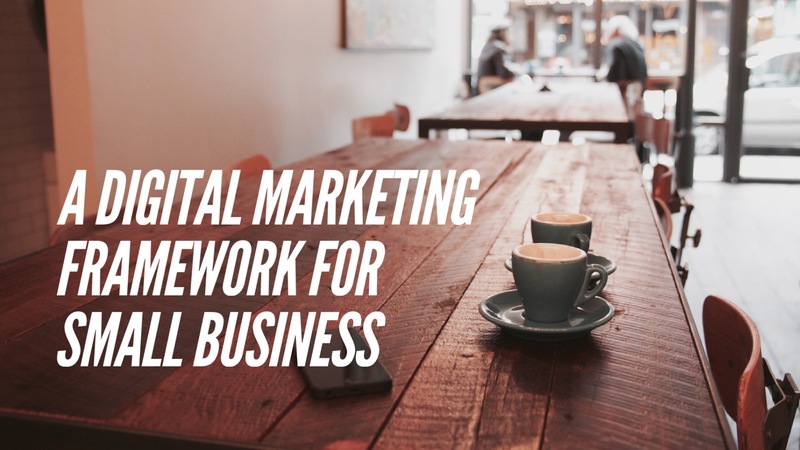 Now that you have a framework for your digital marketing, how do you put it to use? How can you use this framework to develop a digital marketing plan that will work for your unique business? The more you know about your ideal customer, the better you can serve him or her. Understanding their demographics, needs, and where they like to hangout online will all prove beneficial as you decide what type of content to create and where to host and promote it. Make your content easy to find: optimize it for the search engines and promote it on social. Populate it on your website, and make sure there are plenty of opportunities and incentives for people to join your mailing list. Make sure you have Google Analytics installed. Know what your KPIs are. Measure your results monthly and check in on your reports weekly. Continually adjust your plan until it works. If you’d like tactical advice on your digital marketing sign up for flyte’s email newsletter and/or subscribe to The Agents of Change Podcast…a weekly Internet Radio show where digital marketing experts share some of their best tactics to reach more of your ideal customers through search, social, and mobile marketing. Posted June 20, 2017 by Rich Brooks & filed under Small Business, Web Marketing. Are You Leveraging Your Web Site?